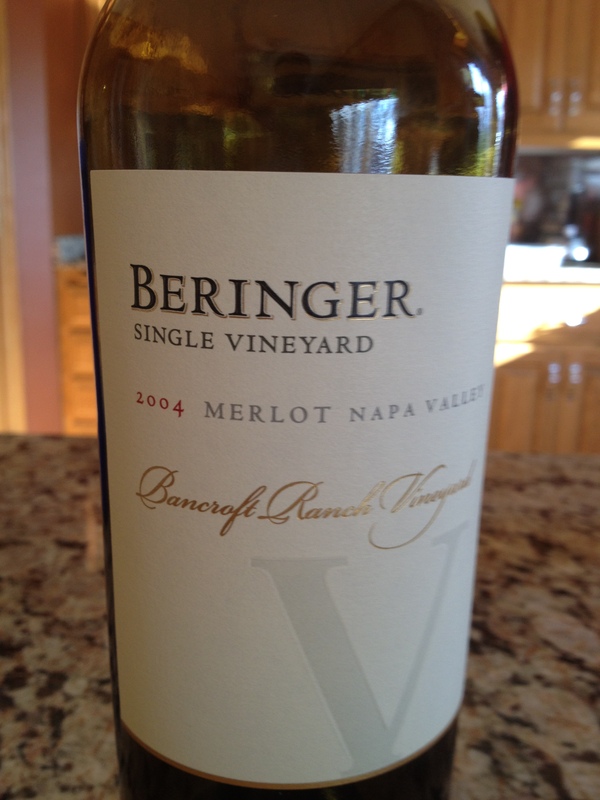 One of my most favorite Merlots comes from Beringer. Bancroft Ranch Vineyard is one of fourteen vineyards at Beringer. Bancroft Ranch resides on the Howell Mountain Appellation in Napa Valley. The vineyard is at 1800 feet in elevation and sits above the clouds on a cloudy day. Besides Merlot, the vineyard is a host for Cabernet Sauvignon and Cabernet Franc. Nose: Dark Cherry, Blueberry and Liquorice. Taste: Light Tannins. As you take I sip I noticed the tannins attacking the front of my tongue moving to the sides. The finish was very smooth. This is not a bold wine. 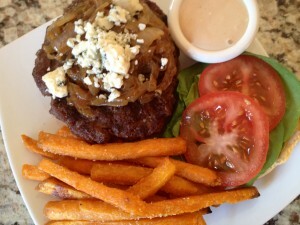 This wine would be good while eating a hamburger with blue cheese. I tried it and it was yummy! 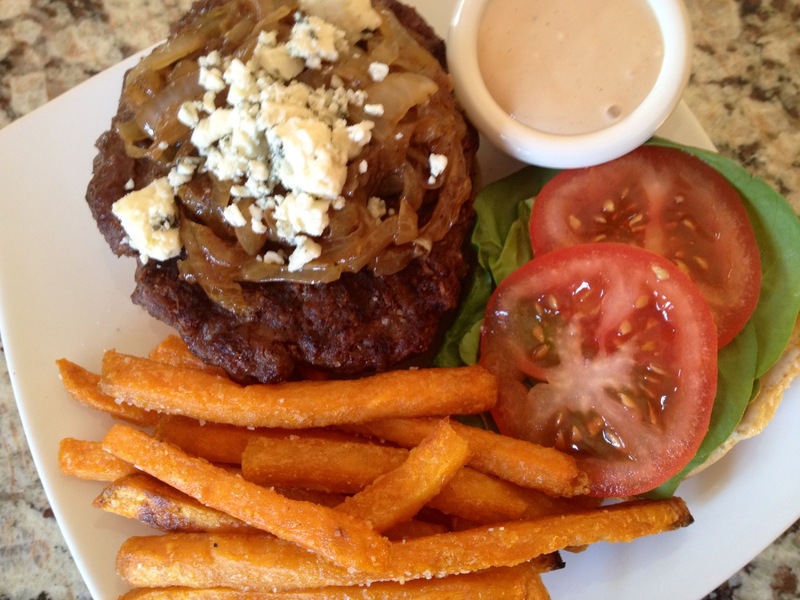 Chris made this delicious hamburger on the grill with sweet potato fries and a Merlot light mayonnaise dipping sauce.